Much of IMAN’s organizing effort this year has been focused on the issue of parole reform in Illinois. Under the existing laws, formerly incarcerated men & women across the state were at risk of recidivism—or being sent back to prison—if they were found “associating” with others who were also on parole. These individuals, even when volunteering at community organizations like IMAN, attending worship services, or visiting family members, were subject to arrest. 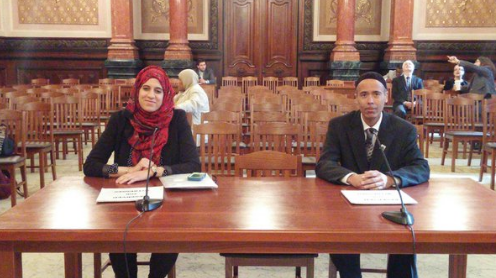 In response to such harsh technicalities, IMAN organizers spent months pushing Senate Bill 2282, the Removing Invisible Bars Bill, which has now passed through both the Illinois Senate and House of Representatives with a strong, bipartisan majority. 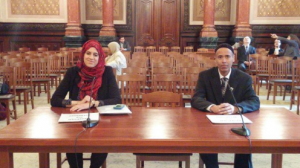 IMAN Senior Policy Advisor Maaria Mozaffar and Green ReEntry Housing Coordinator Nasir Blackwell collaborated to draft SB 2282 in early 2016. This crucial bill will, God willing, ultimately amend the stringent conditions of parole that puts formerly incarcerated persons at risk for recidivism. Now, these recently returned community members can engage in meaningful volunteer work, worship, and family visits without fear of arrest. This issue impacts thousands of people across Illinois, particularly those coming from five neighborhoods in Chicago: Austin, Humboldt Park, North Lawndale, Englewood, West Englewood, and East Garfield Park. A number of legislative allies played a pivotal role in garnering support for SB 2282. State Senator Jacqueline Collins (D-16th) introduced the bill and worked closely with Sen. Mattie Hunter (D-3rd) and IMAN organizers to ensure its passage through the chamber free from dissent. In the House, Representative Mary Flowers (D-31st) was the bill’s chief co-sponsor, helping to garner strong bipartisan support with help from several other representatives. IMAN’s organizational partners and allies also played a critical role in the grassroots education and mobilization efforts around SB 2282. United Congress of Community and Religious Organizations (UCCRO) hosted community education workshops focused on the context and potential impact of SB 2282. 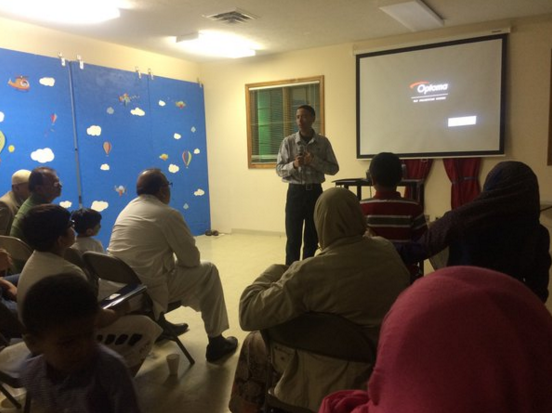 Many of IMAN’s community partners played a key role in mobilizing their leaders, traveling to Springfield to encourage legislators towards a yes vote. SB 2282 has now proceeded to Governor Rauner’s desk, where he is expected to sign it into law. While IMAN will continue working to provide grassroots education on the effects of SB 2282 and its connection to the larger national criminal justice platform, the bill’s passage is a meaningful first step towards a more just and equitable life for all members of our communities. 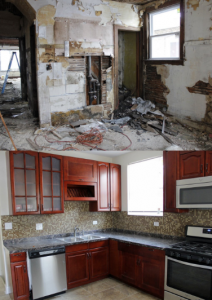 God willing, by the first week of June 2016, IMAN’s latest Green ReEntry cohort will complete the renovation of the single-family home located at 6224 S. Fairfield Avenue. The revitalized property features a new fully enclosed and insulated back porch; a fully renovated kitchen with all new stainless steel appliances; brand new plumbing systems; energy-efficient electrical systems with LED lighting; energy-efficient heating and cooling systems; a fully insulated attic with an access panel stairway; and a new full bathroom and laundry room in the basement. This cohort of brothers enjoyed widespread recognition to go along with their successful work. In March, veteran Chicago Sun-Times columnist Neil Steinberg profiled this year’s group of brothers, and in April the Congressional Black Caucus toured the Fairfield home and met with the cohort. In collaboration with WJ Management, the Green ReEntry cohort remarkably finished this complete “gut-rehab”—from demolition and deconstruction to painting and landscaping—in only three months! The brothers also had the opportunity to learn from skilled plumbing, electrical and HVAC (heating, ventilating, and air conditioning) tradesmen while installing those systems in the house. The cohort was surprised to learn that the HVAC contractor was also an ex-offender and Muslim himself. As with all previous cohorts, the next goal is full-time employment. So far, one brother was hired by a local construction company, two others have been offered positions with a major home improvement retailer, and the last cohort member has been offered a position as a welder through one of IMAN’s intermediaries. IMAN looks forward to celebrating the success of this cohort at the Green ReEntry Graduation in November. 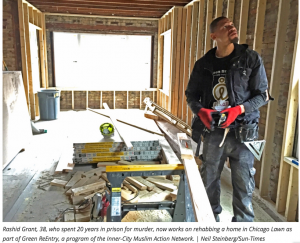 Pursuing its mission to foster health, wellness and healing in the inner-city, IMAN has provided primary healthcare services to residents of Chicago Lawn and neighboring communities for over 15 years. A longtime patient asked our Clinic staff earlier this year: “When are you going to get a dentist?” That time has now come. After several years of engagement and planning with residents, healthcare leaders and supporters, IMAN’s Oral Health Center opened its doors on May 15th. 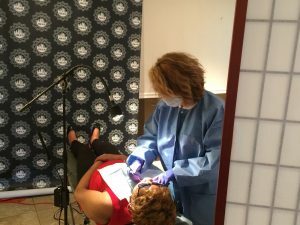 IMAN serves an area that has been designated as a dental Health Profession Shortage Area (HPSA), meaning that there are too few dentists to adequately serve the community’s needs. A dental HPSA, at best, contains one dentist for every 5,000 people. With the generous support of Zakat Foundation of America and United Muslim Relief, IMAN now offers dental screenings, teeth cleaning, fluoride application and oral health education every Sunday. We are blessed to have Dr. Susana Torres, who is bilingual and can serve both English-speaking and Spanish-speaking patients. Patients requiring additional treatment will be referred to St. Bernard Hospital or the Health Care Center Dental Clinic. For many, dental care too often goes unaddressed. When teeth are unhealthy, the rest of the body is likely to suffer negative consequences. Poor oral health can lead to heart attacks, irregular and erratic blood sugar levels, infections, and permanent loss of teeth; not to mention severe pain and difficulty chewing and speaking. IMAN is in the process of applying to become a Federally Qualified Health Center (FQHC), which will enable us to serve more patients in the Clinic and to expand dental services. Providing dental services is a requirement to achieve FQHC status. God willing, the IMAN Oral Health Center will extend its hours, as well as expand its services to include x-rays, fillings, extractions, and treatment for gum disease. “’All praises due to Allah and that’s a blessing.’ This line from the legendary Eric B & Rakim track “Move the Crowd” stands out like a glimmering minaret in the annals of Hip-Hop. I remember asking, who is this Allah to whom Rakim gives the entire credit for his excellence, and how do I get some of this in my life? 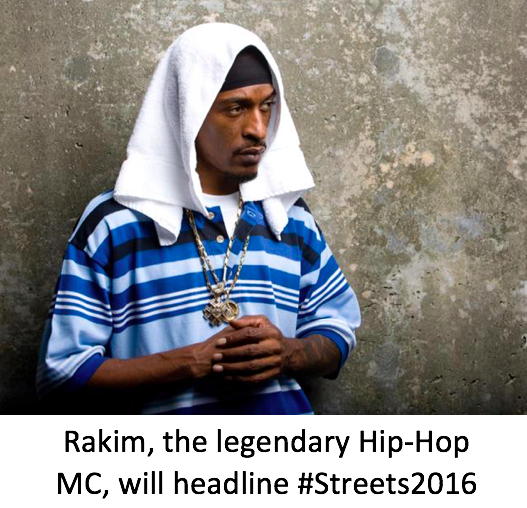 He stood in the video in front of a crowd donning a kufi, seemingly teaching them how to unlock their inner Rakim. I’ve been trying to do so ever since. As the competitive spirit of Hip-Hop evolved into the dance, art and innovative DJing of Rap, Rakim–a small-framed, monotone-voiced teenager with the most intricate, intelligent and smooth rhymes ever heard–became the undisputed poet laureate of Hip-Hop’s golden era. Rakim’s cool emanated from a spirituality that was at his very core. As a kid, back then, struggling to find my voice and honor my story, Rakim emboldened me to be a person of integrity. So it’s a profound honor for me to announce that Rakim will headline IMAN’s 2016 Takin’ It to the Streets Festival & Summit. This is even more powerful in a year when activists and artists from across the country will converge on Chicago’s Marquette Park on Saturday, August 6 to commemorate Martin Luther King, Jr. and the Chicago Freedom Movement’s historic march into that same park exactly 50 years earlier.